Washington - Rory McIlroy remained unbeaten, Tiger Woods suffered a critical loss and defending champion Bubba Watson and two-time winner Jason Day were eliminated on Thursday at the WGC-Match Play Championship. "One of the big things over the last couple of days is I've been happy with how I've responded. I played the shot when I needed to - I holed the putt when I needed to. "We both made a couple of mistakes out there but he made a few less mistakes than I did," Woods said. "All I can do is hopefully get a point tomorrow and see if that's good enough." "It was a lot of fun," Snedeker said. "Neither one of us made a lot of putts. It came down to me making a good putt on 16 and that gave me the little bump I needed to win." "My goal was to birdie out," Rose said of the final four holes. "You set your intention and forget the rest and that's what happened." 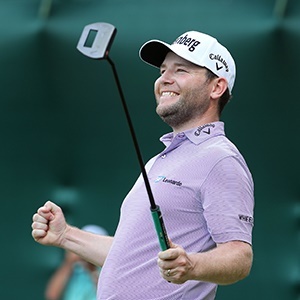 "It's always nice to beat the number one player in the world," said Grace, who can do no worse than a playoff with Johnson - who must beat Japan's Hideki Matsuyama and have Grace lose to American Chez Reavie to force it.